I hope you are having a fabulous Friday and have a fun weekend ahead! Today I have a fun piece to share with you, Light Up Your Look! One Kings Lane reached out to me, asking if I would be interested in participating in this blog series. 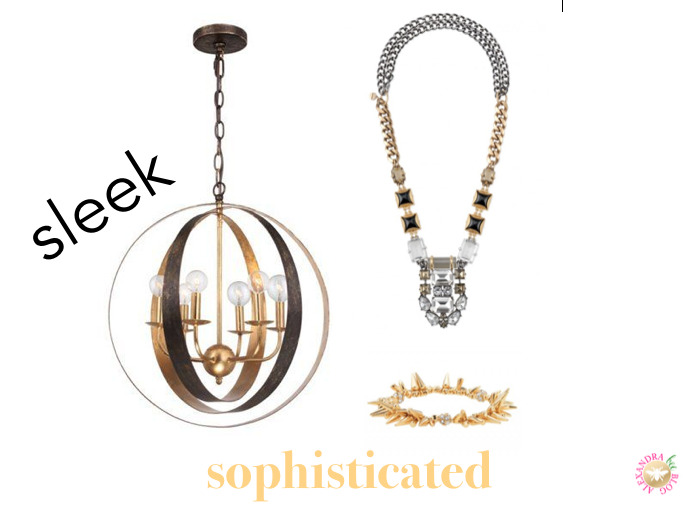 The idea was to pair gorgeous chandeliers with equally gorgeous jewelry! Well....in my dream home, I would probably have a chandy in just about every room; and a girl can never have enough jewels, right? So the answer was easy: Yes! I most definitely find similarities in my design and fashion choices and think the preferences tend to go hand in hand. For that reason, the post was very fun to put together. I went to One Kings Lane's chandelier selection to pick the pretty chandeliers and tried to pick styles that would appeal to many different readers. Read below to see my picks! For those of you, who tend to have rustic style, this wooden Winchester Chandelier is a great pick. When you hear the price One Kings Lane's reduced price of $179, it becomes even more attractive. When seeing this chandelier, I automatically thought of Twine and Twig necklaces. I first saw these necklaces popping up in the blog world last spring and thought they were really unique. Our local Southern Season recently got them in stock, and since seeing them in person, I'm convinced I need one! My two favorites currently on the site are the Trail Double Tip and the Shore Shells, both pictured below! 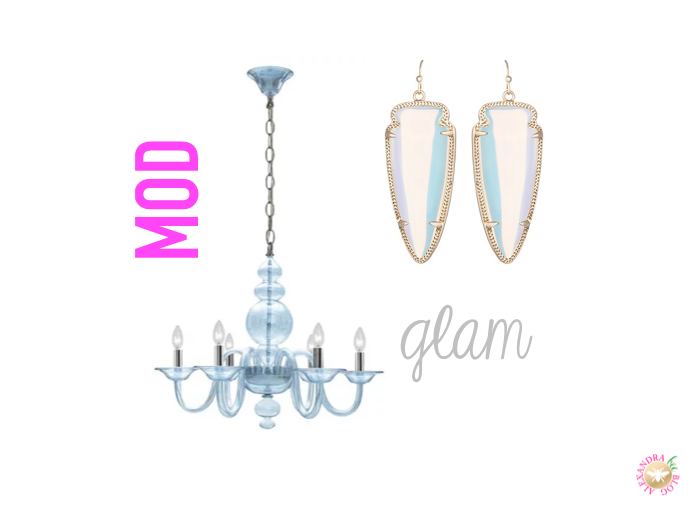 For the modern gal, I went gaga over this Brooklyn Chandelier in Ice Blue. I'm imagining it as a pop piece in an otherwise traditional dining room! The pretty blue, had me automatically thinking of Kendra Scott's iridescent Skylar Earrings that I have been ogling over since July! For the lady who like sleek design, this Luna Sphere Chandelier (available in 3 sizes) in the perfect option. I paired it with one of my personal favorites, the Stella & Dot Phoenix Pendant. This necklace is the perfect accessory for both casual and dressy looks and is one I continually wear! I also thought the Renegade Bracelet complimented this chandelier quite well! 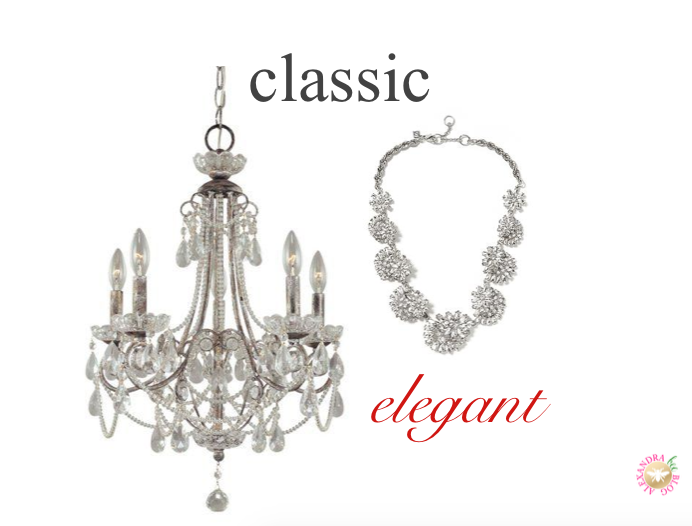 Finally, for the classic woman, this Sara Chandelier is to die for! I am equally in love with this Kiss Kiss Crystal Necklace. The two pieces scream elegant and have me wanting to get all dressed up and wear bright red lipstick! 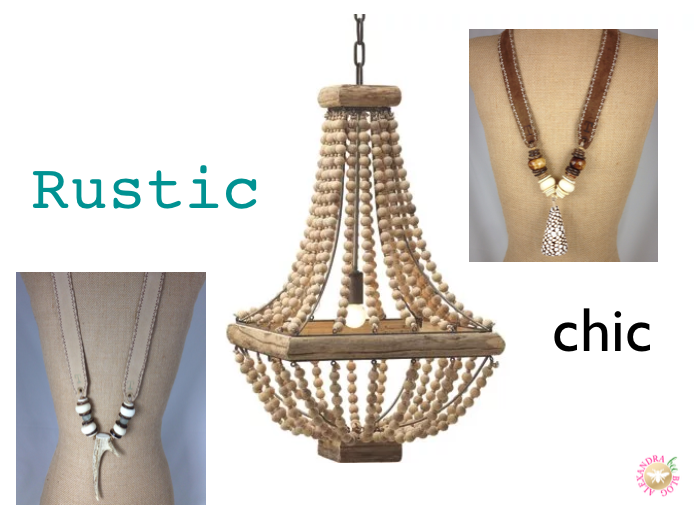 What type of chandeliers and jewelry do you find yourself drawn towards? Do you see a match between your design and fashion picks? How fun! I love the classic/elegant look the best, but they are all beautiful pieces. Ohhh I love all of these but I think my favorite is the classic!